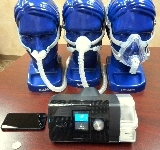 Midwest Sleep Diagnostics is helping Dr. Oz care for sleep apnea patients featured on the program, as mentioned on his January 20 show. Watch Dr. Oz on KSDK chanel 5 in St. Louis. Welcome to Midwest Sleep Diagnostics! For over 24 years, Midwest Sleep Diagnostics has brought comfortable, comprehensive, state-of-the-art sleep medicine to St. Louis area patients. 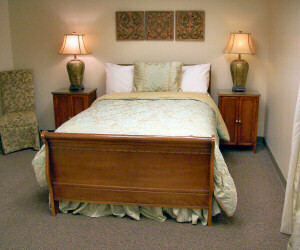 Sleep studies are performed in our sleep clinic by certified medical personnel using the latest technology; all masked in an aesthetically pleasing and cozy non-hospital environment to provide the comfort of a home study with the safety, quality and accuracy only laboratory sleep testing in the sleep center can provide. We have also brought the major elements of diagnostics and treatment together. Because of our comprehensive approach, we are able to provide better, more complete care in less time. From snoring and sleep apnea to narcolepsy and restless legs syndrome, our dedicated staff will take the time to address your concerns and ensure you get the very best care. Sleep studies and treatments are covered benefits for most medical insurances. As a courtesy to our patients we will verify coverage and benefits with your insurance provider prior to testing. If you are interested in finding out what your specific benefits are, give us a call and let our friendly staff check it out for you. For more information, to schedule a sleep study, or to check your insurance benefits, give us a call. Yes, we surf the internet late at night too. Fill in this form, and we can call you back during the day.